Pronounced ‘lagga-Voo-lin’, after the Gaelic Laggan Mhouillin, meaning ‘the mill in the valley’. 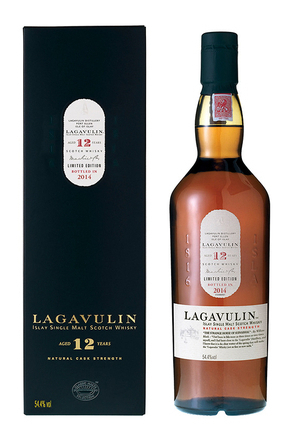 Known for its peaty style and part of Diageo’s ‘TheClass Malts’ range, Lagavulin is one on the most regarded of Islay’s single malt whisky distilleries. Lagavulin distillery sits on the water’s edge in a small sheltered bay on Islay’s south-eastern coast close to the ruins of Dunyveg Castle. This is where Robert Bruce took refuge after his defeat by the Earl of Pembroke, and was also the bastion of the Lords of the Isles. The distillery is instantly recognisable due to its long, low white warehouses and tall red brick chimney. One of the oldest distilleries on Islay with illicit distilling recorded on the site as early as 1742, the distillery dates from 1816, when John Johnston constructed Kildalton Distillery at Lagavulin. The following year Archibald Campbell built a second distillery named Lagavulin alongside Kildalton which Johnston also acquired in 1825. 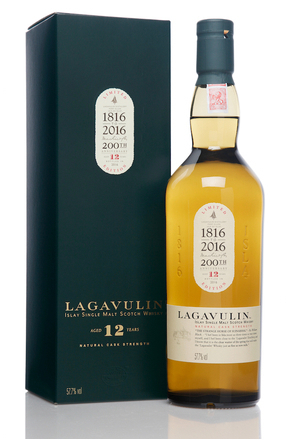 The two distilleries merged to become Lagavulin in 1837 under the ownership of the Graham brothers and James Logan Mackie. Peter Mackie worked for his uncle, James Logan, at the distillery before establishing his own company, Mackie & Co. Distillers Limited in 1883. He then inherited Lagavulin in 1890. A second distillery, Malt Mill, opened 1908. An explosion and fire in 1952 led to a rebuild which brought the mash tuns entirely under cover for the first time. Malt Mill closed in 1962 and its stills moved to Lagavulin’s still-house. All four stills were converted to steam heating in 1969. Peter Mackie went on to establish the White Horse blend of which Lagavulin remains an important part. After his death in 1924 the company adopted the name ‘White Horse Distillers Limited’. 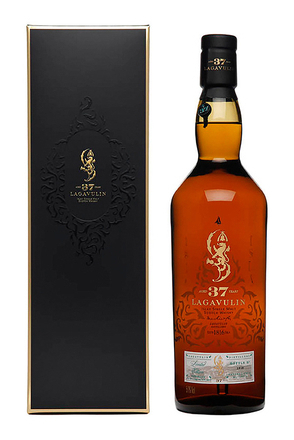 Three years later it became part of the Distillers Company Limited (DCL), now part of Diageo who market Lagavulin as part of their Classic Malts range. The label still carries the Mackie name and rearing horse crest. 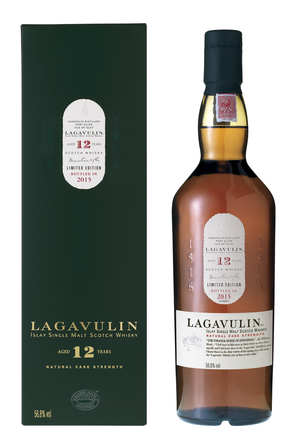 Lagavulin is noted for its pronounced peaty character. Islay boasts miles of peat bog and the water used to charge Lagavulin’s stills runs brown down the burn from the Solan Lochs in the hills above the distillery. Thanks to a legal battle fought by Peter Mackie - Lagavulin has exclusive rights over this water course. The barley used to distil Lagavulin is malted at nearby Port Ellen and where it is exposed to some 20 times more peat smoke than the average Speyside malt. 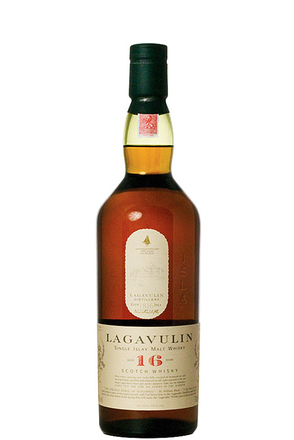 Fermentation at Lagavulin is unusually long – up to 75 hours. Of the four stills at Lagavulin two, inherited from Malt Mill, have an unusual pear shape. 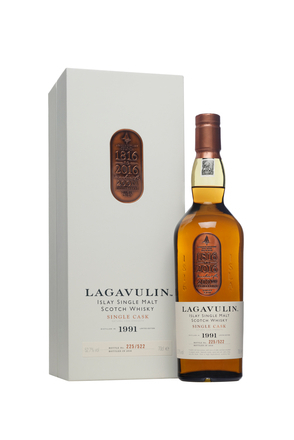 These along with one of the slowest distillations of any Islay malt (around five hours for the first distillation and more than nine hours for the second) is said to give Lagavulin its roundness. Lagavulin Distillery Visitors’ Centre opens April to October for guided tours. Part of Diageo’s 2014 Special Releases and the 13th such release. Aged in refill American oak for 12 years. A release of 31,428 bottles (RRP £80). This 12 year old cask strength limited edition is the eighth of a series of special 12 year old releases and is higher in abv than recent former releases in the series.